Well we have it! Crossrail turns out to be an utterly clueless, incompetent, rail construction company. In 2011, sometime after construction work had begun they announced a date of December 2018, up from the earlier 2017 date as a result of a small financial tweak. The new date was to give them a bit more time to complete the line. 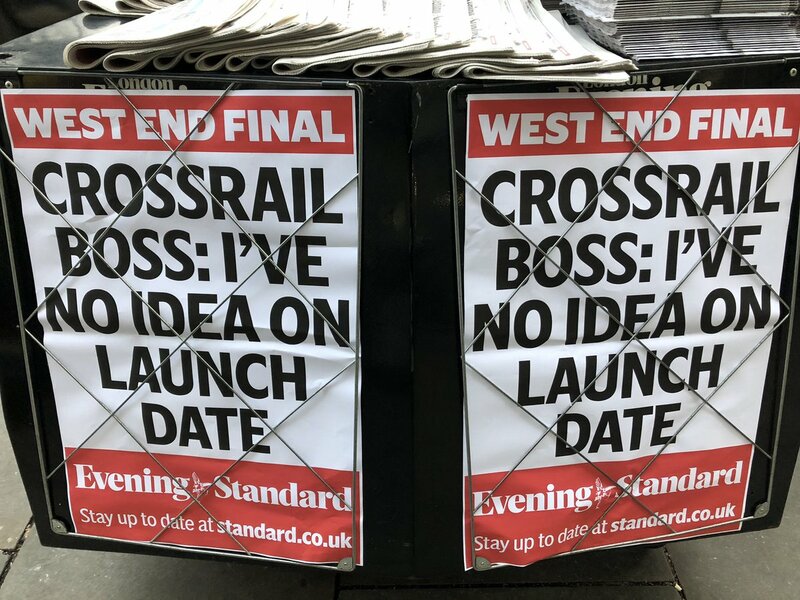 Now it turns out no-one, not even its bosses have any clue when the line will open. Header picture: My photo showing piles of Standards with the Crossrail announcement on the Oxford Circus news stands. Its interesting the company’s CEO, Mark Wild, who was brought over from TfL to oversee the failed project, has not any idea of how long the project will take to complete. Without a doubt there’s no clear leadership in charge or any manageable control of the project. Its just gone totally rogue! 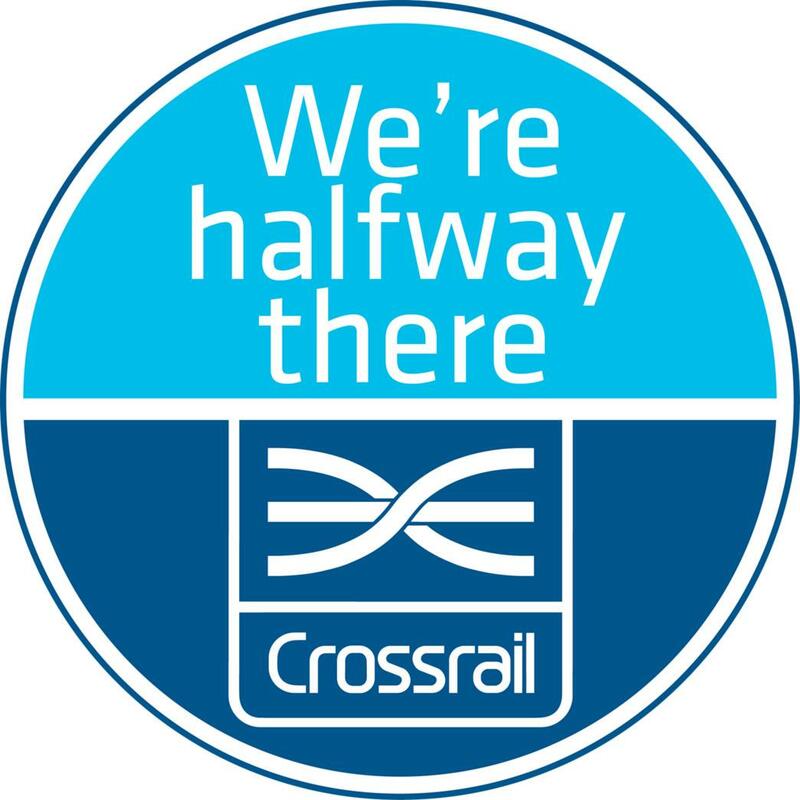 In 2013/2014 Crossrail announced it was halfway through the project. In May 2018 it announced the project was NINETY percent complete. In 2019 it seems it ain’t even half completed! 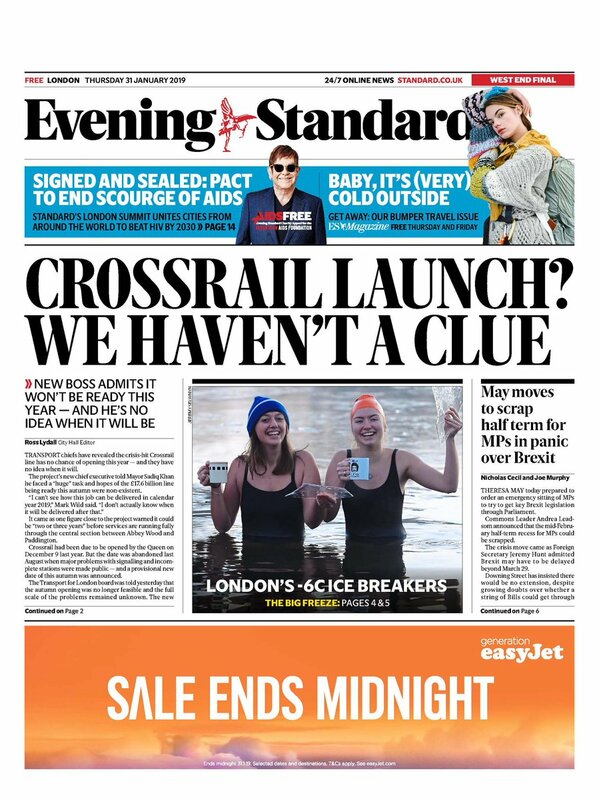 On the front page of today’s paper, the advert below the Crossrail headlines says ‘Sale ends at midnight.’ Are they actually selling the line off then? I should think so. More money to the unemployed, homeless instead of this failure of a railway! Its currently sucking up £30 million pounds a week. Many people, large numbers on Twitter, are rightly angry because this £30 million could be used for lots of things. Other rail projects for example, help for the homeless, more benefits for families, medical care, the unemployed etc. That £30 million (just one week of Crossrail’s mind blowing budget) would procure two new Merseyrail stations alone according to experts. Three weeks of that would get a brand new hospital in the same region. Under one week of the week’s money (£20 million) would pay for a new mental health hospital in Southport. Astonishingly just five weeks of £30 million would provide for a revised rail electrification scheme between Cardiff and Swansea! Crossrail’s additional £2 billion given in 2018 could have been used to support families. Instead vast numbers of poor families are losing support to the tune of 1.8 billion in 2019. And they say Crossrail (the Elizabeth Line) will benefit London? Yes – after a lot of other benefits have been taken away as par for the course….